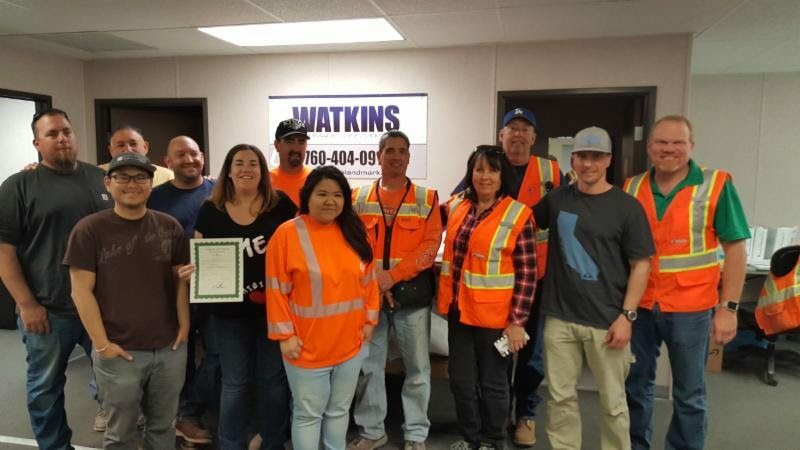 We are proud to announce that we received our Certificate of Occupancy on February 23rd at the Indian Wells Tennis Garden on our Stadium 1 Renovation Project. Our team has been working tirelessly for the past 11 months in preparation for this moment. 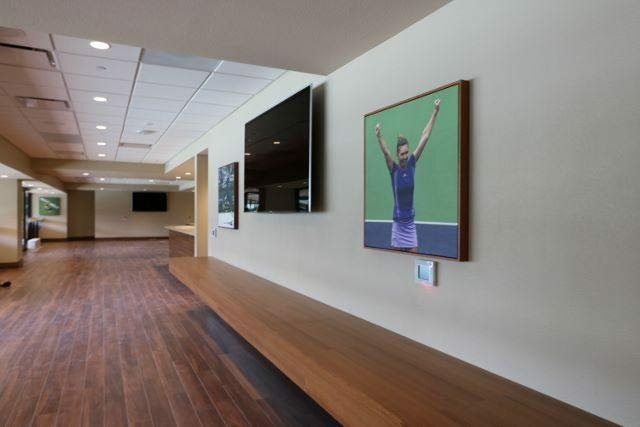 Just days before the opening of the BNP Paribas Open, we have successfully rebuilt, recreated, updated and added to this iconic tennis stadium. This renovation was designed to enhance the overall fan experience and substantially upgrade Stadium 1. The renovations ranged from a massive expansion of the Stadium Plaza to expanding all the suites and hospitality spaces to adding 20 new restaurants and concessions. 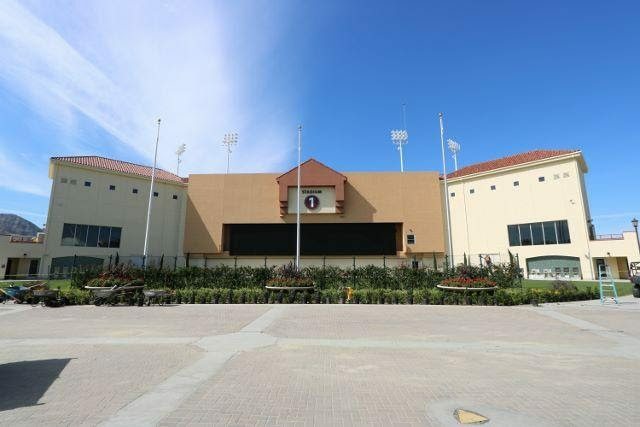 A fan favorite and gathering place, the Stadium Plaza, is now a permanent part of the stadium and the superwall is substantially larger (33% wider) allowing it to display up to five matches at one time. All of the suites throughout Stadium 1 have also been completely renovated. The previously open air portion of the Concourse level that is now covered to allow the suites on the second level to be significantly expanded, and include private restrooms. All of the existing restrooms are upgraded, and restrooms were added to the upper bowl. There is also a new hospitality room, Front Box Club, satellite broadcast studio, fitness center, and club pro shop. Other renovations include a brand new media room, two-story office building for tournament management and staff, and additional commissaries to accommodate the new concessions. The stadium footprint has increased from 200,000 to 300,000 square feet of space to provide an unprecedented fan experience. Venue partner Levy Restaurants has brought 20 more permanent concessions and restaurants to the stadium. These restaurants include BS Taqueria from Esquire’s 2015 Chef of the Year, Ray Garcia, and Dave’s Doghouse, from Michelin-starred chef, Josiah Citrin; to Cassell’s, a reinvented classic hamburger stand from Christian Page that has been an LA phenomenon since 1948, and Melissa’s Produce, the Los Angeles-based fresh vegetable-focused offering. The stadium now includes local favorites Piero’s PizzaVino, also featured in Stadium 2 serving traditional Neapolitan style pizza, Sherman’s Deli, a desert institution for the past 50 years. Snack vendors include Wetzel’s Pretzels and Popcornopolis. For all your beverage cravings there is now Lavazza which brings a selection of specialty coffees, lattes, and cappuccinos. 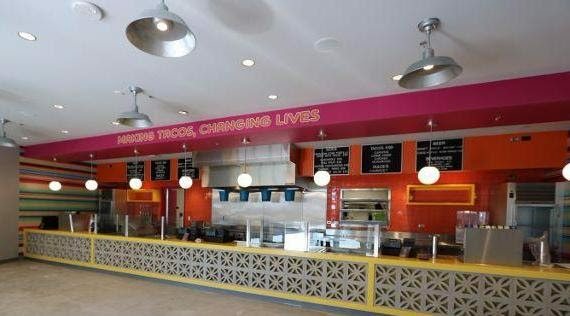 Golden Road and Shock Top will deliver craft beers, while multiple margarita bars, a juice bar, and an ice cream location have been added as well. The restaurants and concessions are located in various spots and levels throughout Stadium 1, with eight on the Loge level, which previously did not have any food options. Cassell’s and Piero’s are “inside and outside,” and offer fans access from the concourse as well as the outside of Stadium 1. Wolfgang Puck’s venerable and highly-rated restaurant Spago will be added to the IWTG. 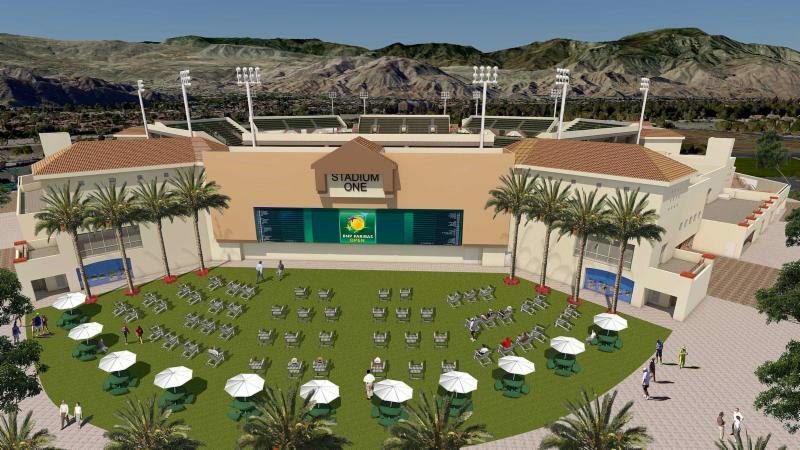 The full-service 100-seat restaurant will overlook the court in Stadium 1, giving fans an unprecedented view of the second-largest tennis stadium in the world combined with a first-class dining experience. Puck, a James Beard Lifetime Achievement Award winner and arguably one of the most recognizable chefs in the world, launched his award-winning restaurant Spago more than 30 years ago in Los Angeles. A six-time recipient of the prestigious Wine Spectator Grand Award and two-time Michelin Star recipient, Spago will be the third restaurant at the Indian Wells Tennis Garden overlooking a court, as both Nobu and Chop House offer that amenity in Stadium 2. In addition, Nobu will also expand to the player dining facility, giving players quick and easy access to its award-winning cuisine. 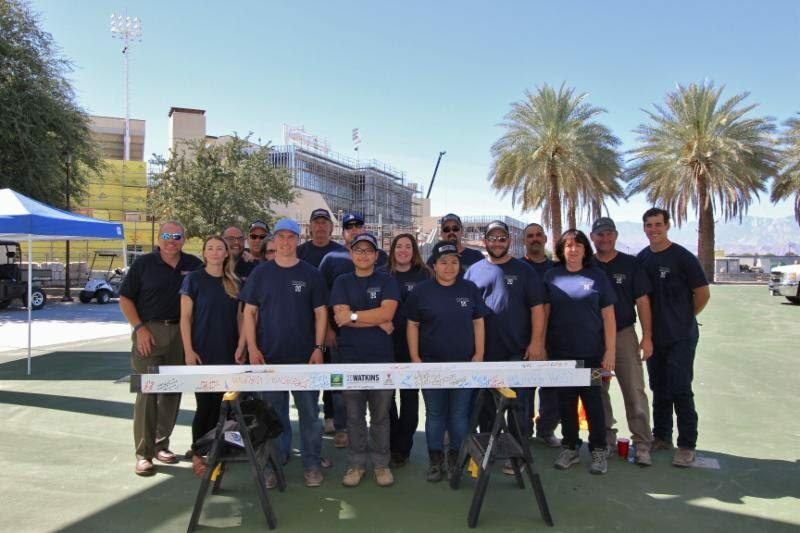 We are extremely excited and proud of the IWTG on-site team, architect, engineers, consultants, subcontractors, and of course everyone at the Indian Wells Tennis Garden. They have worked so hard to make this possible. We are looking forward to this years BNP Paribas Open, and joining fans from all over the world in appreciating the new Stadium 1!